Irene Campbell Service Details - Toledo, Ohio | The House of Day Funeral Service, Inc.
Irene was born to the late Rev. Harvey and Martha Savage on May 17,1939 in Whatley, Alabama. Irene was a lifetime member of LoSalem M.B. Church under the leadership of the late Rev. Harvey Savage Sr. and present leadership of Pastor Lewis Savage. She also served as a faithful member of the City Wide Missionary Society. Irene retired from Toledo Public Schools in 2008 and started volunteering at The Kitchen For the Poor. She served as a board member at Toledo Seagate Food Bank and Habitat for Humanity until her transition. Irene was preceded in death by her husband, Robert Campbell Sr.; son, Robert Campbell Jr.; and daughter, Anita Campbell; siblings, Herbert, Ethelee, Juanita, Albert, and Raymond Savage. 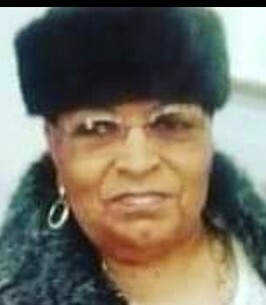 She is survived by children, Charles Sr., Perry, Kenneth Sr. (Pauline), Jon Perrin, Debra and Elizabeth Harris-Campbell; siblings, Harvey Jr. (Giselle), Pastor Lewis (Norma), Robert, John, Henrietta (Carl), Rosalyn (LeRoy), Cheryl, Judy, and Robin Savage; 23 grandchildren, 46 great-grandchildren, and four great great-grandchildren, and a host of nieces, nephews, family, and friends. special thanks to St. Vincent Emergency and IC Units, 2 B nursing staff and Hospice of Northwest Ohio. To send flowers to the family of Irene Campbell, please visit our Heartfelt Sympathies Store. May Jesus our almighty Jehovah God in the flesh continue to hold you all in the palm of His hand as you remember Irene's life legacy and celebrate her homegoing to Heaven, alive and well in the presence of our risen Lord. The Bible declares that "to be absent from the body is to be present with the Lord". Although she left her "earthly tent", she will not be forgotten in the hearts of all who knew her. PEACEWITHGOD.NET has been a source of hope & inspiration and we thoughtfully share. We are so sorry to hear about your loss. We wanted to share with you a promise from the Bible at Revelation 21:3,4 which states “He will wipe out every tear from their eyes and death will be no more, neither will mourning nor outcry nor pain be anymore. We can look forward to the fulfillment of these promises because Jehovah God who has made them not only has the desire but also the power to do so. If you would like more information regarding this promise as well as others, please let me know. My husband and I would like express our sincere sympathy to the family and friends of your beloved Irene. Although we hadn’t had the opportunity to meet Irene personally we do understand the pain of losing one so dear to our hearts. We would like to share with you comfort we have experienced from Gods word found in 2 Corinthians 1:3,4. Our Heavenly Father is truly a wonderful source of comfort, he is always there for the broken hearted and he truly cherishes you. ( Psalm 34:18, 1 Peter 5:7 ) Please take a few moments, share your memories with those who surround you, for the memories shared are the ones most truly cherished, may they bring you comfort and peace as you begin to heal. Take care of yourselves and each other during this very difficult time.